In QuickBooks (QB), if I set up an 'Other Receivables' account (a/c) as a sub a/c of Accounts Receivable (A/R) and don't attach a customer (in name section of JE) it only allows you to enter A/R entries on the first line of the JE. Why? Perhaps I'm not handling this correctly and there is another way to set up this 'Other Receivables' a/c. For the GST payable entry, is it correct to pick GST/HST payable (the name pre-populates as Receiver General) and then choose the tax item HST (BC) (ITC)? QuickBooks has a rule associated with journal entries ... you can only have one Accounts Receivable or Accounts Payable type per entry. I don't know why ... it has always been this way. This means you aren't doing anything wrong, it is just a QuickBooks rule. Therefore, if you have more than one A/R entry to make, as in your example, you must make three separate JEs or combine your entries into one. Whatever you decide, ensure you make good memo notes to explain the purpose of the JE. Whenever you post an Accounts Receivable or Accounts Payable account in a journal entry, QuickBooks requires a customer or vendor name to be included on the entry line. the Accounts Receivable or Accounts Payable account entry line in your general journal should be on the first line of the JE if you want your entry to post correctly. I think I learned this next rule from a presentation by Michelle Long at an Intuit virtual conference or one of her papers she has written for Intuit. Usually, at every seminar I attend, I take away at least one thing I wasn't aware of, so the information "sticks". 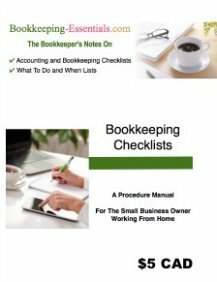 I remember it being explained that you should not use JEs in QuickBooks to adjust payroll or inventory accounts. It will throw off your subsidiary ledgers and therefore your reports. 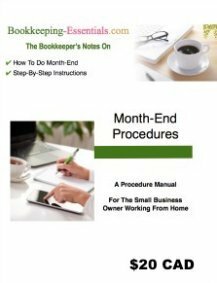 The appropriate way to record depreciation/amortization, adjustments pertaining to loan interest, and income tax provisions is to use a QuickBooks JE. It is usually recommended that you use the appropriate QuickBooks form whenever possible, rather than JEs. It minimizes errors and utilizes the data analysis capabilities of QB to its fullest potential. You may want to consider setting up your Other Receivables account as an Other Current Asset type account rather than as an Accounts Receivable type account if the account will always be used to record adjusting entries. With regards your question about the GST/HST Payable entry. Normally, a credit to this account would be associated with HST (BC) on sales - line 105 on your GST/HST return. As you haven't explained why you are making this adjustment to the account, it is possible that you do want to associate it with HST (BC) (ITC) ... which will adjust line 108 of your GST/HST return. QuickBooks® is a registered trademark of Intuit, Inc. ... Screen shots © Intuit Inc. All rights reserved.